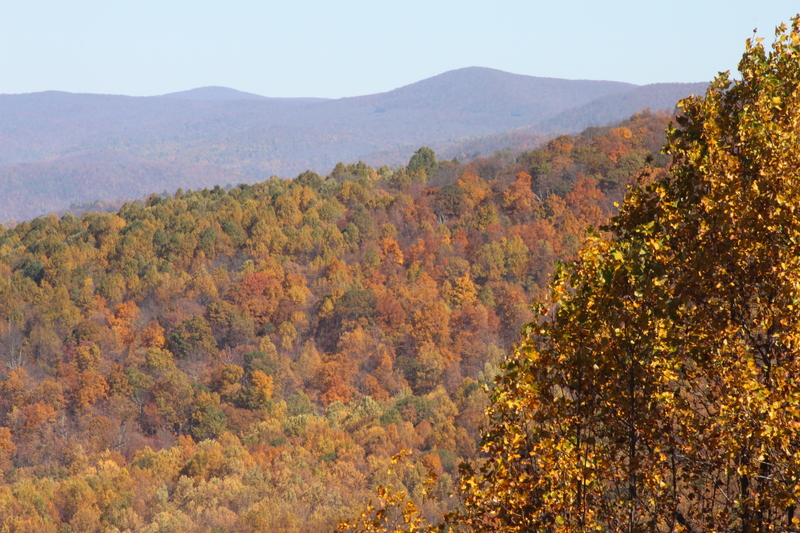 At the end of October I went to one of my favorite places, Shenandoah National Park in Virginia. I usually meet some friends there in the summer and we hike, see nature and visit the wineries. One of my friends asked me to come down in October and see the fall colors. 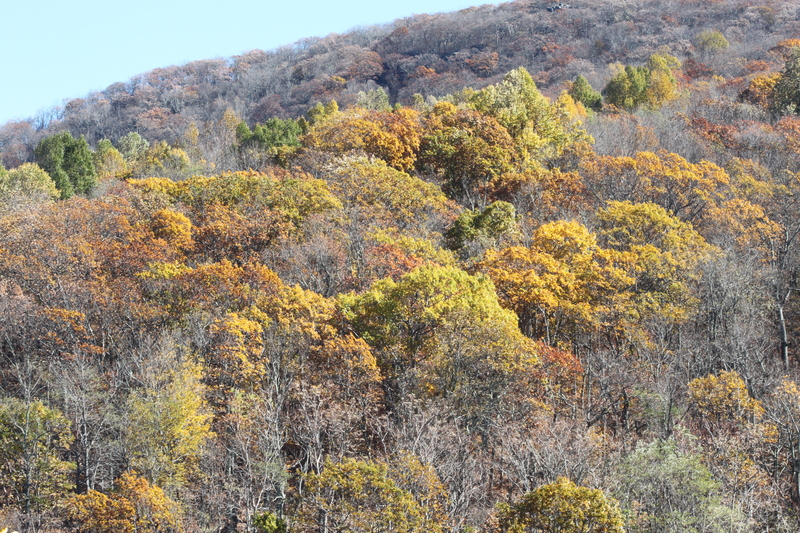 At first, I thought we would be too late as here in Pennsylvania many of the trees had lost their leaves but soon realized many of the leaves would still be changing in Virginia. Little did I know the beauty that awaited me. The second day we went to the north portion of the park. Here is where the brightest colors could be seen. 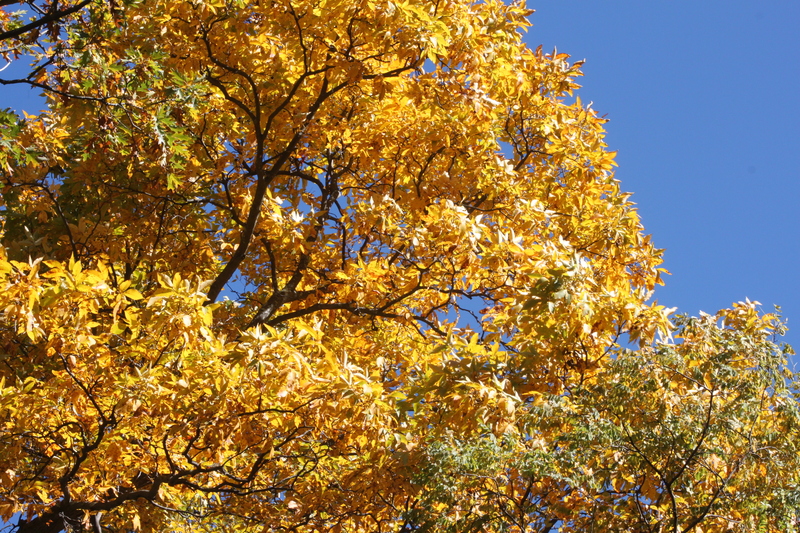 The yellows and oranges mixed nicely with the last of the green in the tree. This is where the colors were their best. Summer there is a busy time with people hiking, animal watching and visiting the waterfalls for a quick cooling off. Fall there is so much different as the only animals to be seen are the deer. Hiking is limited to short distances due to darkness coming so early. Fall allows time for thinking and enjoying the art nature has to offer. I sit here tonight in the cold November but somehow the quiet, reflective fall trip still provides warmth and comfort. I do love the beautiful view. If you get a chance when you are on Facebook look at Shenandoah National Park. One of the staff took a panorama shot of a sunrise there. It truly brought tears to my eyes. I have to say it is one place that you can feel God.